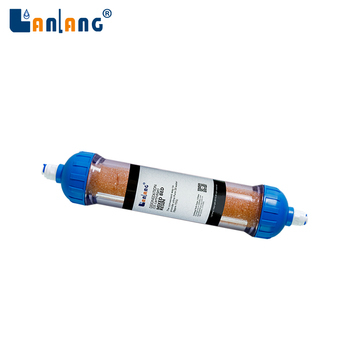 Lanlang DI-200 is an excellent DI filter filled with top quality mixed bed resin. 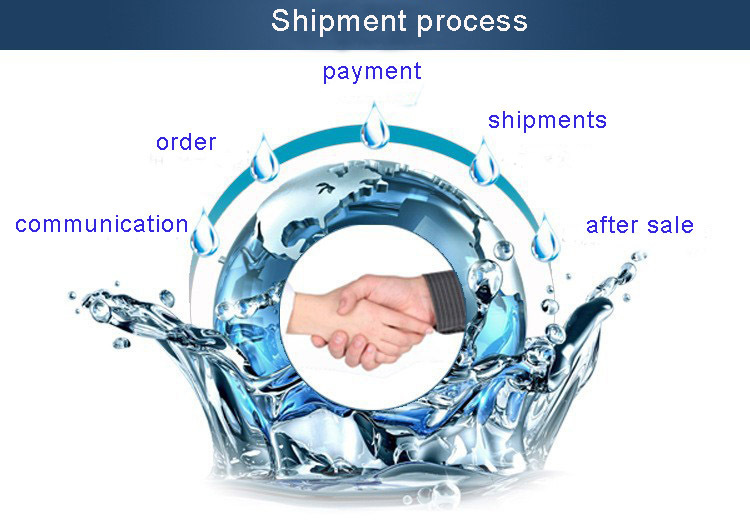 It is designed for industries where need high quality water in low volumes for specialized uses. 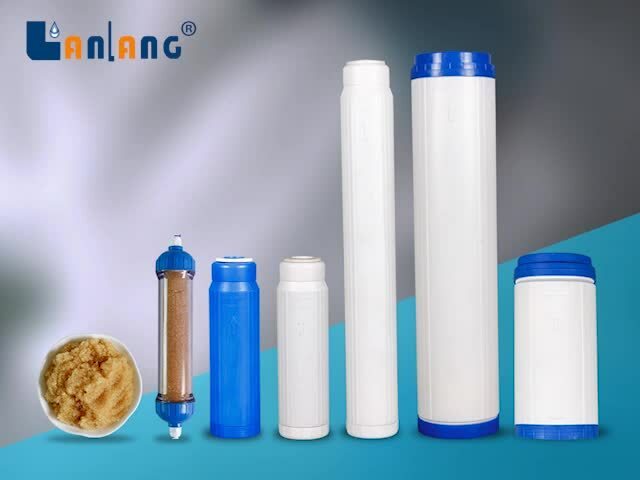 DI-200 filters could make high quality pure water from tap water. 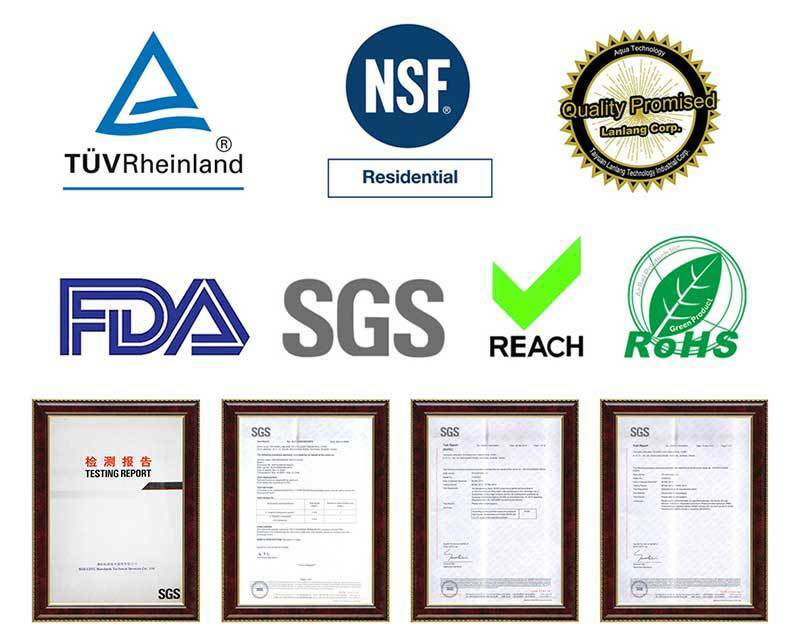 It could take the small percentage of contaminants which RO membrane could not remove. 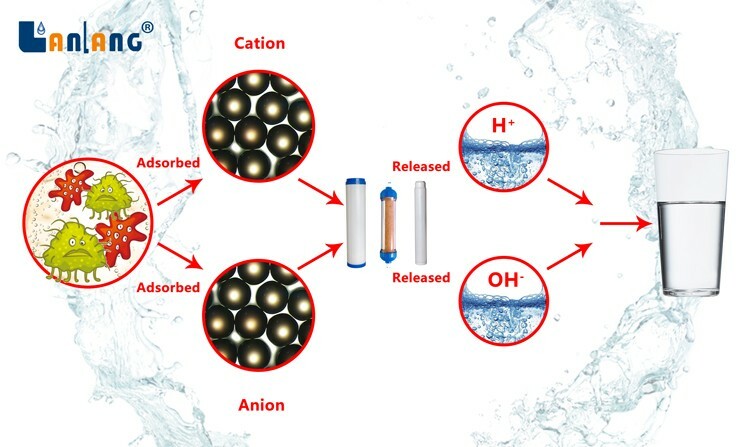 So it also could be used as post deionizer after RO system to provide polished water. 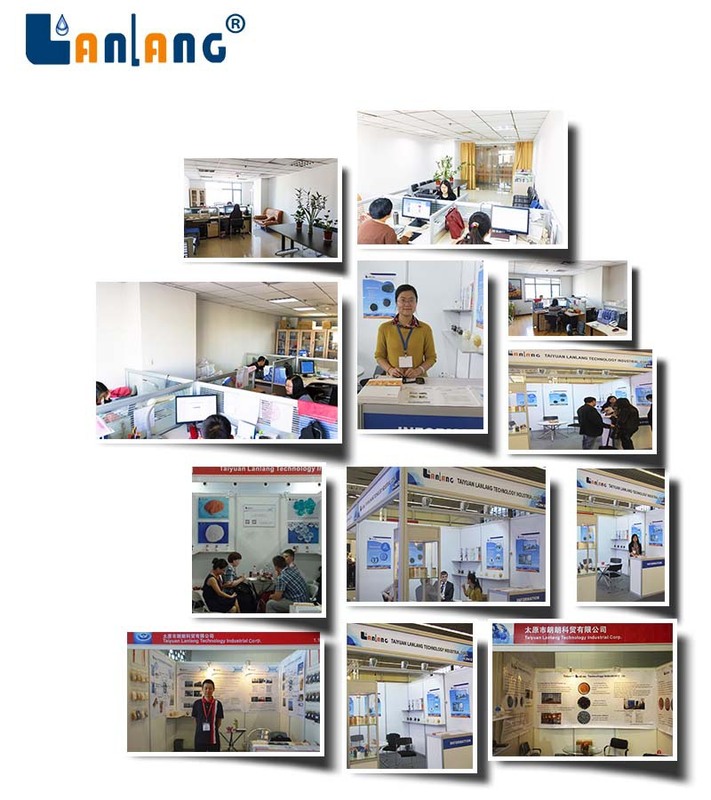 DI-1 is filled with nuclear grade mixed bed resin to produce high quality pure water (0ppm TDS, Conductivity attainable less than 0.1uS/cm or resistivity of close to 18 meg.ohm). 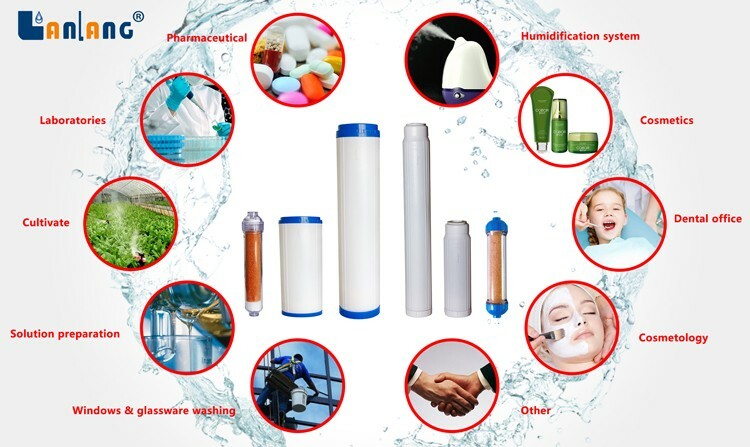 DI-1 is a self-contained inline filter requiring no filter housing. 5. 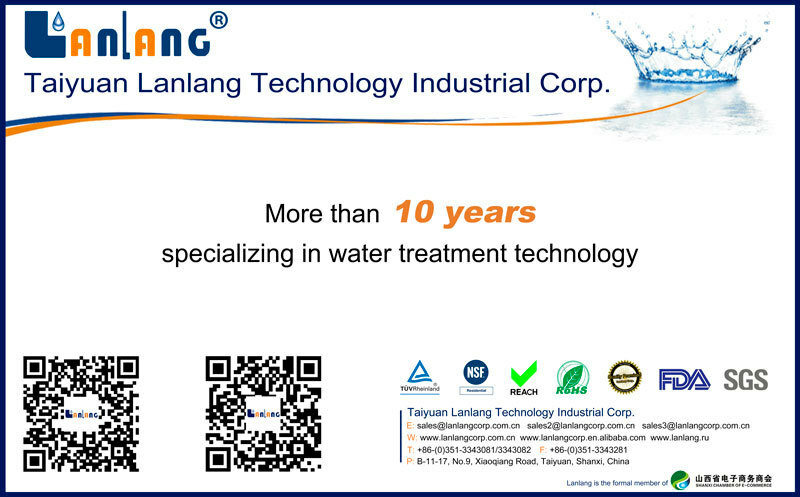 What is the application of Lanlang DI-1?